Tomic claimed some players were picked for the Davis Cup team - and given Australian Open wildcards - because they were represented by a management company owned by Hewitt. "Blackmail threats and physical". Former team-mate Tomic responded: "I have never threatened his family". "Nice, Lleyton. To think how low of a person you actually and (it's) why the Australian public never liked you". 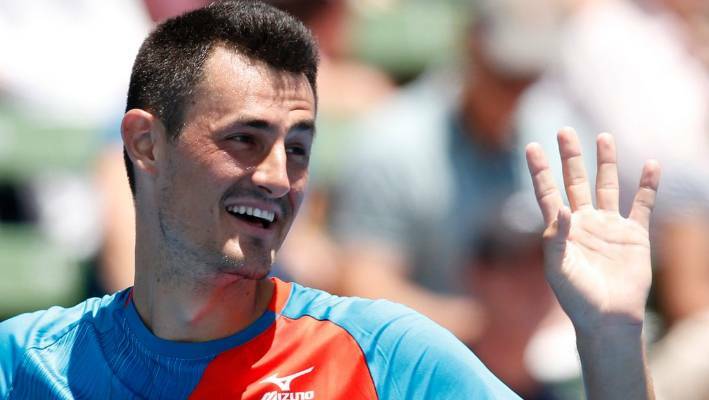 Tomic's latest comments follow an extraordinary press conference conducted by Davis Cup captain Hewitt on Thursday night during which he sensationally claimed Tomic had blackmailed him and his close family. Tomic hasn't played in the Davis Cup since 2016. "The threats I have received for me and my family for a year and a half now". "After the abuse I copped from him, I drew a line in the sand and haven't spoke to him since". He's playing Davis Cup - I thought he was retired. The most disappointing thing is on day one we had all these great wins by a lot of our guys and all these Bernie comments overshadow it. Really, you are a blot on the Australian sporting landscape and the more this is played out, the more Tennis Australia needs to intervene and say, "Enough is enough". However at present there were "cultural standards" not being met that were preventing any imminent return. With Bernie, you know, things have been coming out for a while. We have some exceptional players doing some exceptional things here.